Every baker needs a blender. And even little pretend bakers need one. 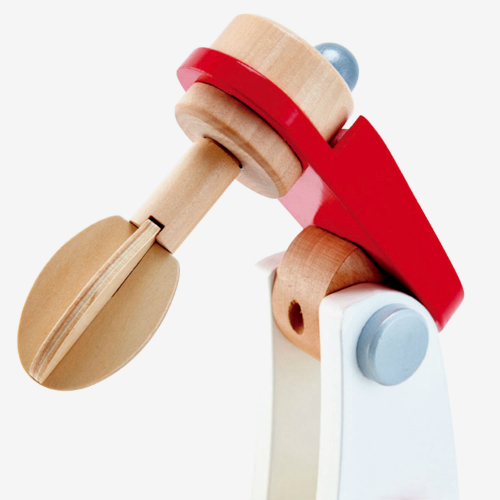 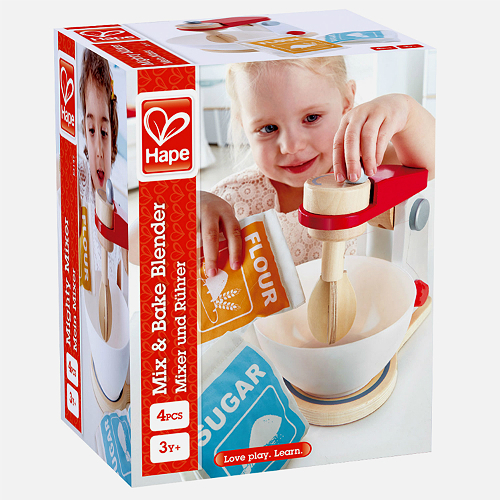 The wooden Hape Mix & Bake Blender is just the thing for your junior baker. 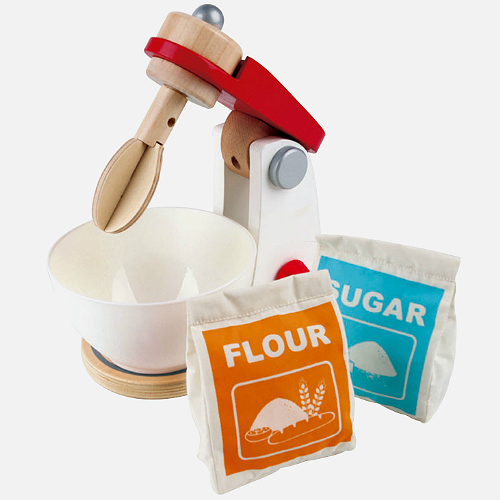 Children can pretend to bake using the pretend flour and sugar packets, bowl and turntable blender. 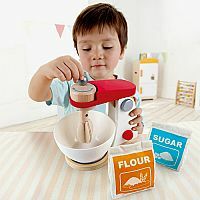 A great addition to pretend kitchen play. Measures approximately: 8.00 x 10.25 x 6.00 inches..